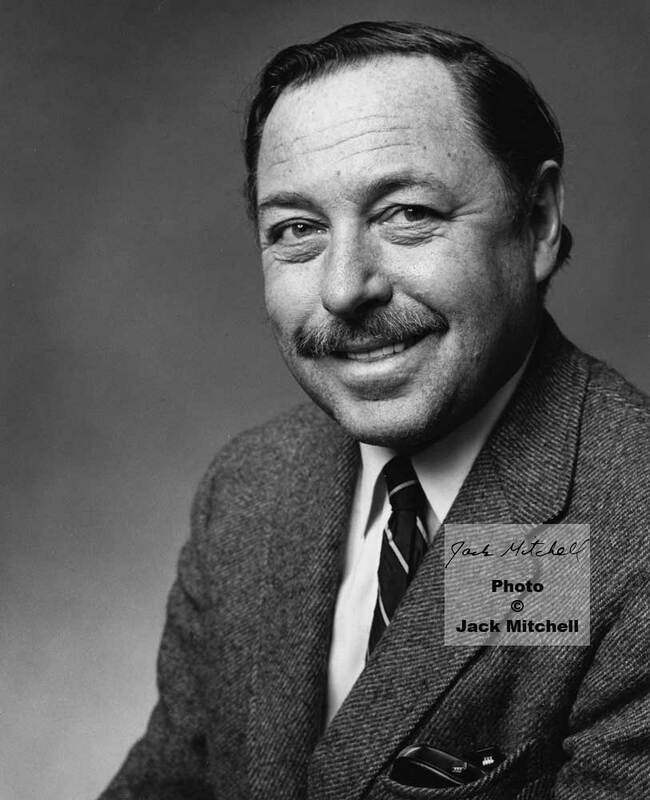 Jack Mitchell photographed the highly acclaimed controversial southern playwright Tennessee Williams several times. 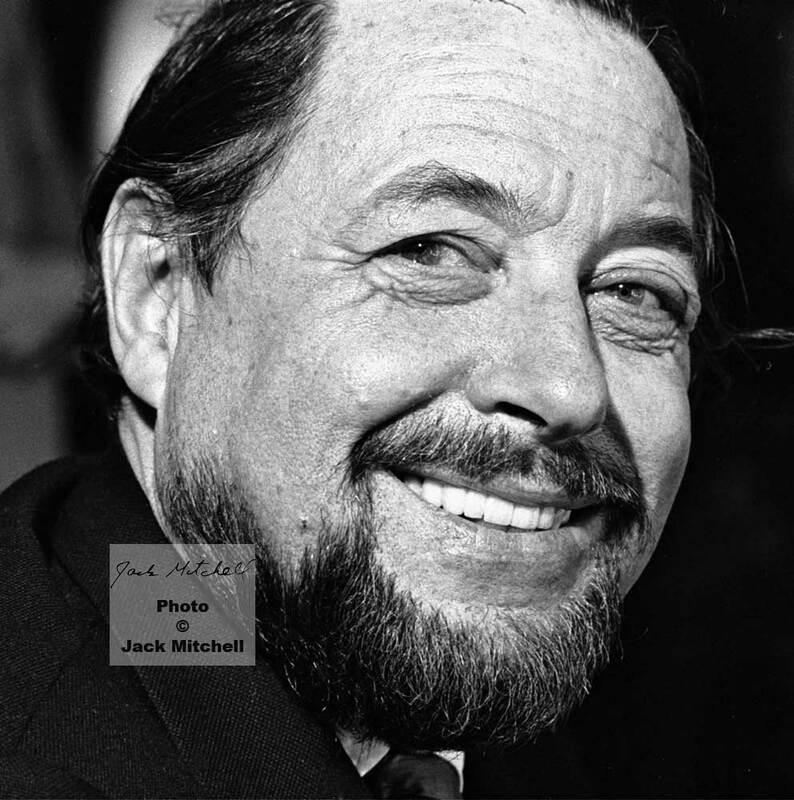 Jack also photographed the two-time Pulitzer Prize-winning playwright Tennessee Williams during a break in rehearsals of 'Summer and Smoke' in April 1971. 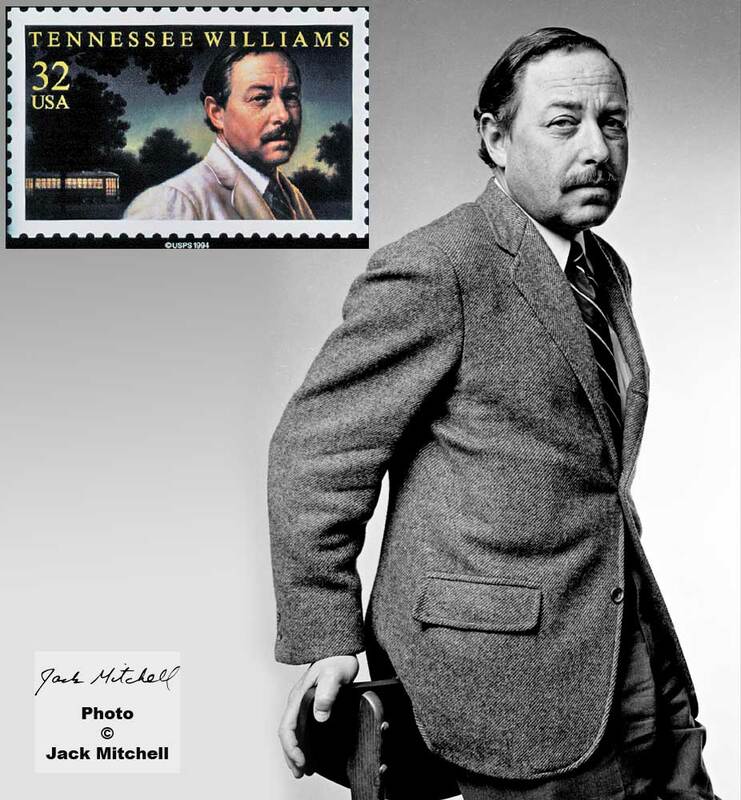 One of Jack’s unpublished photographs from the 1966 session was selected by the United States Postal Service to be transformed into the 1995 Literary Arts commemorative postage stamp honoring Williams. 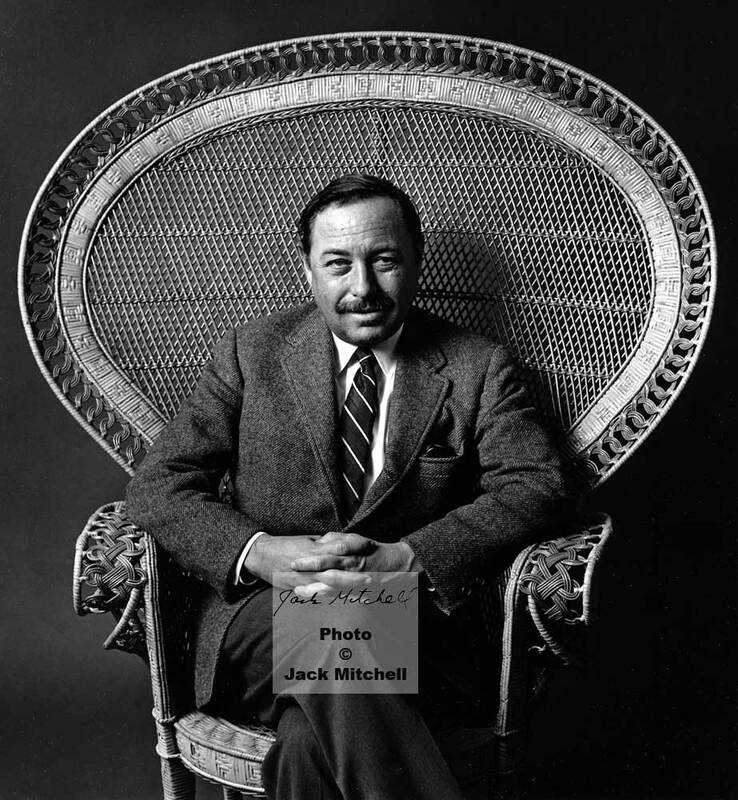 The designer Michael Deas (who also created the commemorative Marilyn Monroe stamp) added color and a New Orleans streetcar (for his most famous play “A Streetcar Named Desire” in a setting of trees at twilight. Jack was very proud of the final result.